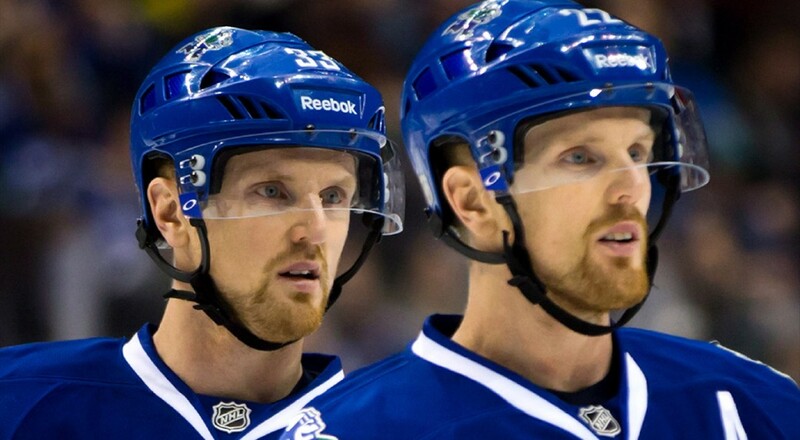 VANCOUVER – The greatest thing about Daniel and Henrik Sedin is they never let their own greatness change anything. They were rock stars in Sweden long before they became scoring champions in the National Hockey League. After their first practice with the Vancouver Canucks, at training camp in Stockholm 17 ½ years ago, it took the twins 30 minutes to navigate the receiving line of reporters standing between them and the ice. They were a big deal years before people on this side of the Atlantic Ocean realized it. But no matter what they did, how much they accomplished playing a possession game unlike anything the NHL had seen, the brothers from Ornskoldsvik never lost their humility, drive for improvement and their commitment to doing whatever was asked of them to help their team. Monday might have been their first selfish day with the Canucks. The 37-year-olds announced their retirement, effective next week, in an open letter to fans. Still 50-point scorers in the NHL, and the conscience of the Canucks, the twins are leaving hockey – but not Vancouver – so they can be better dads to their kids, better husbands to their wives. "My youngest one, deep inside, he wants me to keep playing," Henrik, the team captain, told reporters after Monday’s practice at Rogers Arena. "He loves hockey, loves watching the games. I’m sure he’ll be happy to have me home a little bit more. "We’ve never been guys to look back. We know we have the best jobs in the world and we tried to treat it that way. (But) it is going to be different; there’s no question about it." It’s doubtful any two stars in NHL history have been not only criticized but ridiculed as much as the Sedins were. Even this season, as the twins ran a top-10 power play and scored enough to prove they still make an impact in the NHL, some fans and reporters couldn’t seem to get rid of them fast enough. The theory, refuted again Monday by Canucks coach Travis Green and president of hockey operations Trevor Linden, was that the Sedins were impeding the progress of younger players as the team rebuilds. But their retirement, at least for next season, creates a huge void in the dressing room and on the ice. "You’re losing two Hall-of-Fame players out of your lineup," Green said. "You just don’t replace those elements to your game. "You’re happy for them; they’ve had amazing careers. To see them go out on their own terms with the season they’ve had, I think, means a lot to them. It’s means a lot to me. But also, it’s sad." By not stating publicly that they wanted to return for another season, it was clear the Sedins were considering values other than hockey. Danny and his wife, Marinette, have three children. Henrik and Johanna Sedin have two. The five kids are between six and 12 years old. The Sedins have been trending for a while towards the decision that was confirmed Monday. But it was announced now not so much for the Sedins’ benefit as for their fans and organization, so that the greatest careers any Canucks have constructed won’t end with a press release in May. With home games Tuesday against Las Vegas and Thursday against Arizona, and a road game Saturday in Edmonton, the Sedins will get the NHL sendoff they deserve, even if the attention will make them a little uncomfortable. "They wanted to do this for our fans and for their families, to have an opportunity for a chance to say goodbye and have a special week here," Linden said. "It’s certainly not their style. They’re such good people and have done such amazing things in our community. The real sad part about this is the game is losing two incredible ambassadors that represented the game so great." People throughout the NHL will notice. "They’ve been in the league for so long that I can’t even remember when I started watching them," Ottawa Senators’ superstar Erik Karlsson told Sportsnet. "They made a great impact on my generation in Sweden for playing hockey. They’re someone who inspired a lot of kids to start the game." Another Swedish star, Tampa Bay Lightning defenceman Victor Hedman said: "They were two of my heroes growing up. They obviously have some unbelievable skill, but I think their work ethic is what separates them from most guys. Just being around them, you feel like you’re getting better. Just being around those guys made you push yourself to try and get better." The Sedins combined for 2,107 points in 2,630 games over 17 seasons with the Canucks, and won Olympic and world championship gold medals with Sweden. But they never won a Stanley Cup, losing the 2011 final to the Boston Bruins after the Canucks were the best team all season. Daniel said that season was both the high and low point of their careers. He hopes he and Henrik will be remembered for their attitude in the dressing room, for their positivity and consistency and dependability. "They taught me not only on the ice but off the ice, how to be a true pro," former teammate Alex Burrows said. "They’re two of the best professionals. Everybody knows they donated so much money to Children’s Hospital in B.C. They treat people the right way… especially their own teammates, coaches, staff, media. They’re just like the ultimate professionals." Hank Sedin said: "People can think what they want about us on the ice. There’s always going to be different opinions. But the least you can do is come in and treat people like they should be treated. Come in with a smile on your face. That’s what we tried to do." There will never be another two players like them. "I think at times their greatness has been maybe not as appreciated as it could have been," Linden said. "Who they are and the culture that they set will live on in this organization for a long time. They’ve left an incredible legacy with this organization and with this city. They’re such good people. These are two guys this city will miss watching."